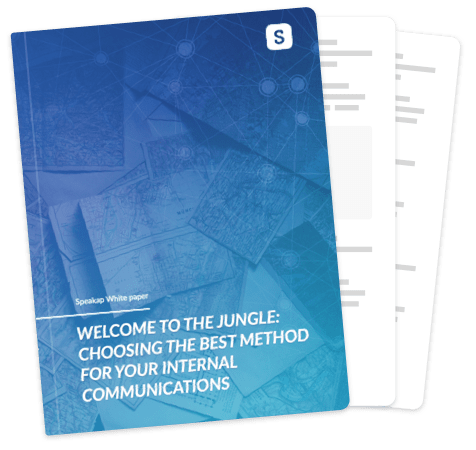 From newsletters to employee magazines, from intranet to ESN, it's a jungle out there... so how can the way-too-busy internal comms professional choose the right media for their message? In this whitepaper, you'll find an explanation of the various resources available for delivering best-in-class internal communications. Take advantage of this cheat sheet - a gift from us to you - and choose the internal communication solution that best benefits your organisation! YES! I need this in my life right now. No spam and 100% free!